Welcome to the Tinsley-Glass Team! Real Estate Resource website serving all of Southern Oregon: Medford, Ashland, Talent, Phoenix, Jacksonville, Central Point, Eagle Point, Shady Cove, Rogue River, Gold Hill & Grants Pass. Plus all surrounding areas of Jackson & Josephine Counties! Are you considering buying a home in the Southern Oregon area? We welcome the opportunity to earn your business and provide you with a quality real estate experience! We specialize in residential, rural residential, new construction, investment/income properties, farms & ranches, vineyards and wineries. We are in-tune with our local market and our client's needs and will connect you with the right property! Do you have a property you want to sell in the Southern Oregon area? As experienced real estate professionals, we will expertly market your property with the top branding that Windermere Van Vleet & Associates offers, and achieve the best possible price in the least amount of time possible under current market conditions. We will help you make informed decisions from setting the right price to negotiating the terms and conditions of incoming offers. Almost all properties for sale are canvassed on the Internet. Your real estate broker needs to also have local market experience, understand the current market conditions, be attentive to detail, obtain professional photographs, possess strong negotiation skills and utilize a strong network. Our team offers all that and more! 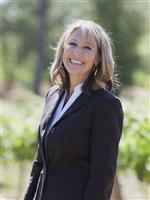 Learn more about my service, see information about recent home sales in Southern Oregon, or contact me to get started today! Are you interested in more Southern Oregon area details? Please take a minute and browse my local neighborhood and school details, real estate mortgage information and interactive maps for the Southern Oregon. Thank you for visiting kathytinsley4homes.com and gregglass4homes.com and southernoregonwineries4sale.com. We are professional real estate agents who will help make your search for a new home an enjoyable experience in beautiful Southern Oregon. Please feel free to contact us directly if you have any questions about the Southern Oregon real estate market, or buying/selling a home in Jackson or Josephine Counties.